OnePlus came on to the scene as a bold startup that was looking to change the paradigm that phones with great hardware and an excellent UI should cost you an arm and a leg. The OnePlus One was a path breaking phone in many ways. The device was at that time an unbelievable combination of hardware, software and price that captured the public imagination to such an extent that they did not mind jumping through the hoops of the invite system and even having it shipped to them from abroad. It went on become a rage before it was eventually available in India. Even before being locally available, every other young person in India who knew about phones and considered themselves a power user had one in their hands. After that came the OnePlus Two which was more of a learning experience for both the company and the users. The brand had just severed their ties with Cyanogen and came up with Oxygen OS to replace it. There was a sense that there were many issues with it, there were also reports of heating and battery charge not lasting long enough. OnePlus very firmly put their ear to the proceedings, accepted the feedback they got from all over and went to work with a definite focus and passion. That point marked the beginning of what can only be described as the best purple patch that the company has seen. With the OnePlus 3 things turned to a very positive direction. Oxygen OS evolved firmly into one the best Android forks that was really close to the stock experience and yet had several nuances that made it stand out. It became one of the smoothest, leanest and fastest Android experiences. The hardware on the OnePlus 3 was a hit too and the phone flew off the shelves and did great. OnePlus then decided to do a mid-cycle refresh with the OnePlus 3T and that too was a hit with the users. With the OnePlus 5, the brand moved into the dual camera territory and proved that they can deliver there too and succeed. Like the OP3, there was a mid-cycle refresh for the OP5 too and the OnePlus 5T was born. With this device, OnePlus has clearly moved into the big league. I have personally been at the pop-up stores for the OP5T and the crowd response is nothing short of hysterical. They come and wait for hours and rush in when the gates open to get their device. Five minutes is about par for the device to sell out in these pop-up stores. With the OP5T, OnePlus started something that only Apple has so far managed to do. 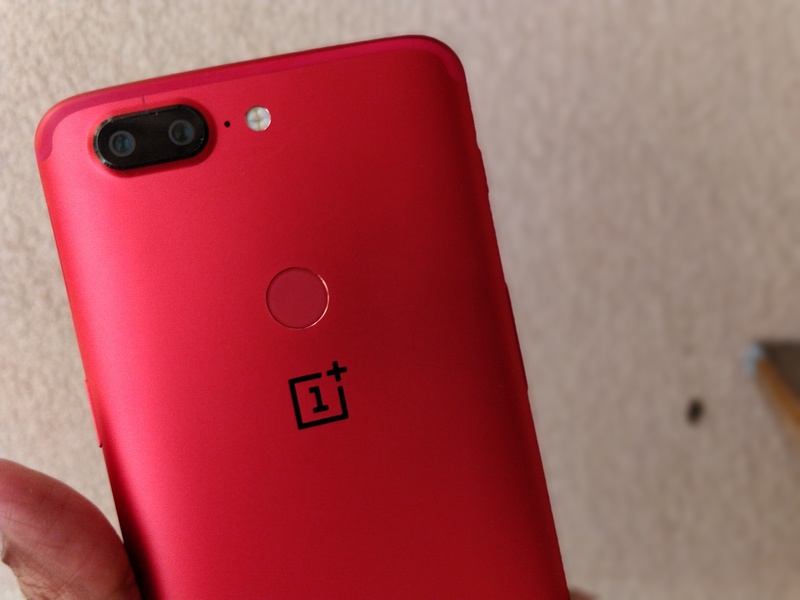 They took the cult following that they command in the market and used to it to churn out variants to the OP5T that were drawing on pop culture like Star Wars and even working on nostalgia for the sandstone finish that the first OnePlus device had. All along, the user response has been good and sellouts are now a thing of routine for them. With the OnePlus 5T Lava Red Edition and the Star Wars edition before that, OnePlus has signaled clearly that they have accepted the mantle of cult branding that has been given to them by their users and they are showing the swag that goes with that status. Taking something as simple as a movie co-branding exercise and making that a best seller is something only mass brands can pull off and they did that. Now with the OnePlus 5T Lava Red, we are again seeing that they are going one step further and firmly sitting in the big league. This article could very well have been another review or a simple unboxing experience. But I wanted to try and take the OnePlus 5T Lava Red variant and tell you what it is actually is. It is not just another color variant. It is the sign of OnePlus moving from the status of an aspiring young brand to an aspirational brand that young people are keen to be seen with. Truly marking the metamorphosis of OnePlus to a pop culture phenomenon. I will be keenly watching this your brand to see what they have up their sleeves next. Something tells me it is going be something bigger and better than anything they have done so far.